17 Nisan 2019 Çarşamba 16:05 - 1 reads. The more than 90-Meter-high tower had collapsed during the fire on Monday evening. 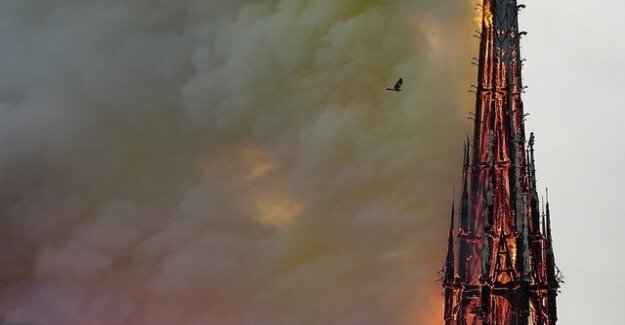 The new tower should be "the techniques and challenges of our age appropriate," said Edouard Philippe, after a Cabinet meeting, which was devoted exclusively to the reconstruction of the Cathedral. Macron has promised a reconstruction of Notre-Dame within five years. The former Minister of culture Jack Lang, called the Plan of the head of state is realistic: "The resources are there," Lang said to the AFP news Agency in Paris. He referred to the donation of more than 800 million euros, mainly from the private sector. According to the words of Premier Philippe four organizations are to be entrusted officially with the national fundraising campaign, among others, the heritage Foundation Fondation du Patrimoine. After criticism of the donation of several French billionaire families, the government will also regulate the deductibility of the tax: After the words of Philippe's donation of up to 1,000 Euro shall be 75 percent of the deductible, the higher, however, only 66 per cent.